Your first time on a glaciated mountain and you want to be prepared for it? Or have you previously been on a high mountain with a guide, but you want to take another step and really know what is happening? Well this thing is for you! This trip will allow you to have a through grounding in basic mountaineering skills. By the end you will have enough in the way of skills, as well as the confidence gained from the achievement, to go on to greater things in the future. Make an anchor! 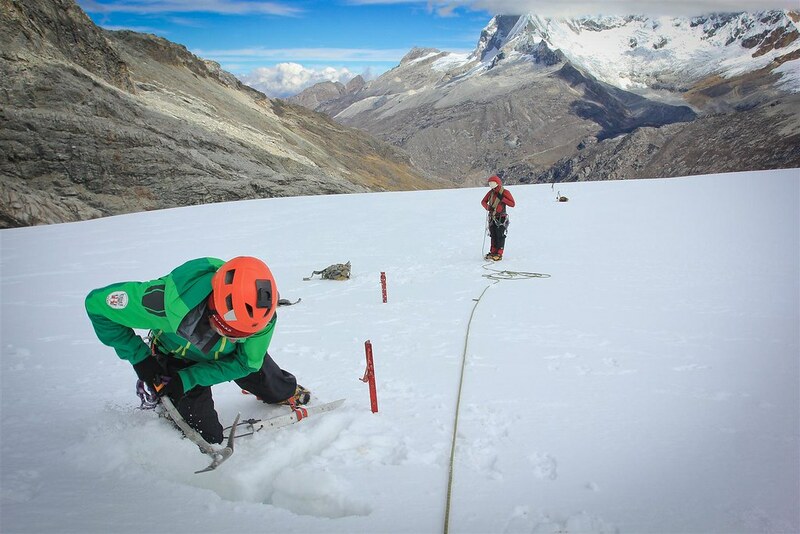 Crevasse rescue training on the flanks of Yanapaccha (5460m). Cordillera Blanca. Peru. We cover an array of essential skills. Mountain hazards on snowy, or ice peaks, walking techniques on snow/ice with crampons, rope team travel, climbing knot techniques, belay systems, self arrest, top rope management, vertical ice climbing, full crevasse rescue techniques. Once you have these skills, the course can be followed by guided ascents of (a) suitable peak(s). 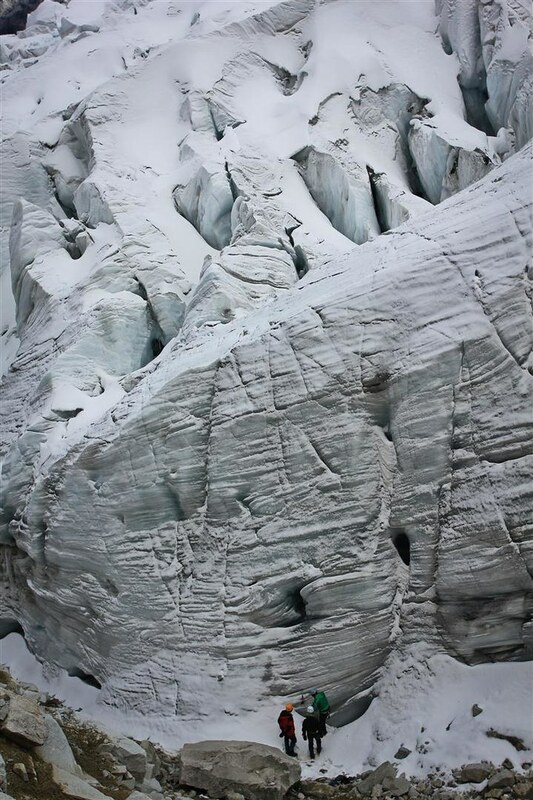 Ice climbing on Yanapaccha’s glacier. Cordillera Blanca. Peru.